When life’s trajectory leaves Godavari meandering through a matrix of pain, suffering and humiliation, swaddled in social norms and evil mores, she fervently fights the factors disrupting her balance protecting what is dear – her daughter. This is a story of a devadasi starting with her childhood. Along the journey she asks core questions pertaining to the ills in Indian society that not only survive, but thrive in the name of tradition and culture. What worked: I must admit, I am biased and like writers that write about social issues especially those that give voice to the minorities in all walks of life. 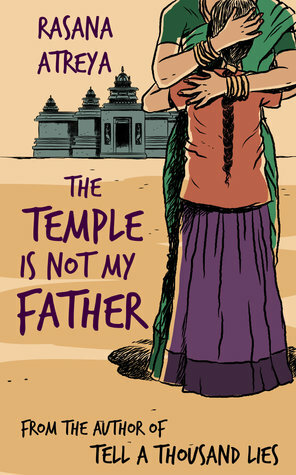 That said, ‘The temple is not my father’ is written poignantly and in a non-preachy manner. Every word was chosen meticulously to etch a picture in you. And the picture cuts through your inner being and lives there forever, clutched in a frame. I loved her style of writing. 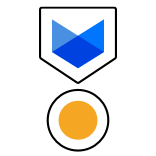 5 stars to that. Every minute detail was taken care of in the department of style. Hats off to her for wring it so beautifully. What did not work: The plot was too thin for my liking. I could guess the ending halfway through and would have stopped reading but for how delicious the writing was. There are some seemingly important characters(Vanaja and Girija) that were not given a proper denouement. I would have liked to know what happened to them, how and why? Conclusion: It is an enjoyable read all along that is bound to invoke depths of emotion in everyone that reads it.